Students earning a graduate Healthcare Management degree have a variety of options for a fruitful career. A Master of Business of Administration with a Specialization in Healthcare Management is an excellent choice for individuals interested in the exciting field of Healthcare Management. Over the past twenty years, the field of Healthcare Management has seen a significant rise in available positions. In recent years, the changes to healthcare reform, the aging population, and the retirement of the “Baby Boom Generation” have left the healthcare industry with a boom in Healthcare Management and Administration positions. One of the most popular degrees sought after for a career in Healthcare Management is a Master of Business Administration with a specialization or concentration in Healthcare Management. This degree allows graduates to seek employment in hospitals, long-term care facilities, rehabilitation facilities, pharmaceutical companies, insurance companies and many more. According to the Bureau of Labor and Statistics’ 2014 edition of the Occupational Outlook Handbook, the Healthcare Management industry is predicted to grow a minimum of 23 percent with a median salary of $88,580 annually. This means that more and more trained healthcare managers will be needed to fill the rise in available jobs. 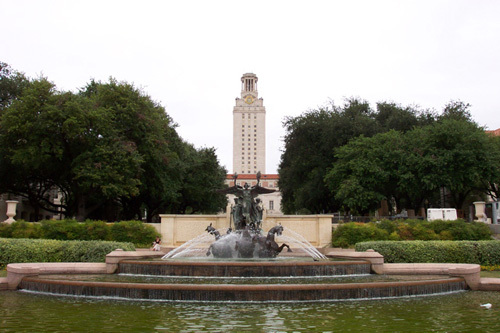 This ranking list was created to outline the top-ranked MBA programs in the United States that offer a specialization in Healthcare Management or Administration. 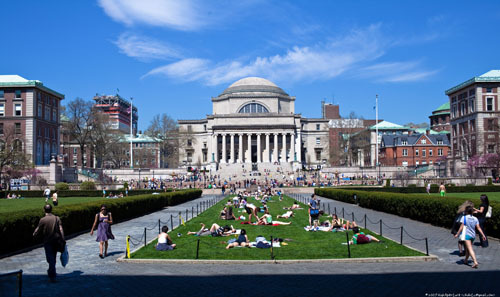 The most attention was paid to the 2014 US News and World Report list of top Graduate Business Programs, specifically MBA degree programs. Consideration was given to any commendations by other notable ranking bodies. The list was then ranked according to a combination of cost of attendance and accreditations granted to the academic institution. Specializations, awards and achievements earned by the school or department have also been noted. 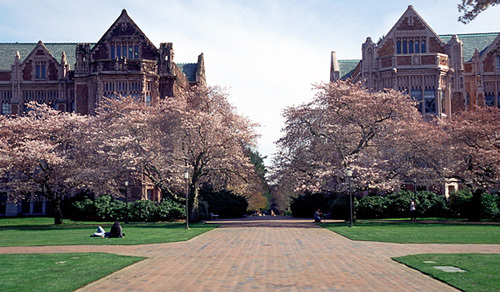 The mission of the Master of Health Administration degree program at the University of Washington is to train the healthcare leaders of the future. The program is designed for early career professionals, utilizing a two-year, full-time program. Students are equipped with the management and leadership skills needed to start a career in healthcare administration and make an impact on the future of health care. The Master of Business Administration (MBA) and Master of Public Health (MPH) program at Emory understands that as the United States healthcare system continues to change, it is becoming increasingly valuable for individuals interested in pursuing a career in the healthcare field to pursue a business education. Goizueta Business School students pursuing an interest in healthcare receive a highly respected interdisciplinary business education in an intimate learning environment. Students pursue a Master’s Degree in Public Health in the unique setting of Atlanta’s Clifton Corridor. 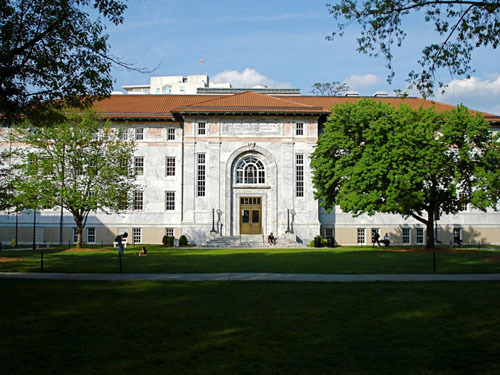 The Clifton Corridor is home to the Emory University’s medical facilities, Emory University School of Medicine, Emory University Rollins School of Public Health, the Center for Disease Control and Prevention, and Children’s Healthcare of Atlanta at Egleston. The MBA/MPH Program is associated with the Departments of Health Policy Management, Global Health, or Epidemiology in the Rollins School of Public Health and Goizueta’s Two Year MBA Program. It is important that students begin the MBA/MPH program at Goizueta Business School. Otherwise, it will require an extra semester to graduate. The program can be completed in as little as five semesters depending upon the course load and whether a student chooses to complete a master’s thesis for the MPH degree. The Master of Business Administration program at UNC was created to address the fact that the modern healthcare industry needs skilled and effective business leaders with creative problem-solving and leadership skills. The UNC Kenan-Flagler Business School recognizes the demand for these highly skilled professionals. The program focuses on developing skilled professionals who are ready to take on the many challenges facing professionals in the healthcare industry. Healthcare professionals with experience in private and public healthcare organizations and the medical community are encouraged to apply to this enrichment program to further expand their entrepreneurial and strategic leadership opportunities. Additionally, this program will provide a solid framework for those with life sciences degrees or those with a passion for the healthcare industry. 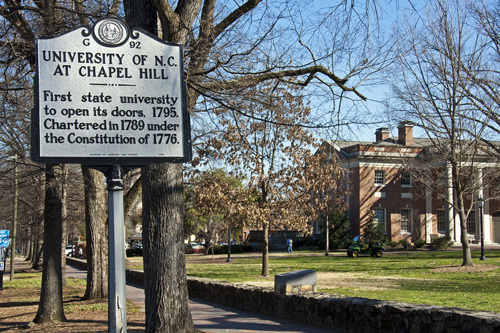 UNC Kenan-Flagler has teamed with UNC’s School of Medicine to create a multidisciplinary curriculum focused on medical entrepreneurship and innovation. This partnership joins the strengths of both schools to better educate the healthcare executives of tomorrow across functional areas, and to bring collaborative and innovative solutions that improve care and reduce costs to the industry. This program is an affordable graduate Healthcare Management degree program for state residents. The Master of Business Administration (MBA) and Master of Science in Healthcare Policy Management (MSHCPM) joint degree program is a concurrent 2.5-year (5 semester) program beginning in August. The program was designed to educate future healthcare leaders about the economic, political and financial environment in which healthcare is delivered and to better understand how to manage and lead organizations across healthcare in the future. 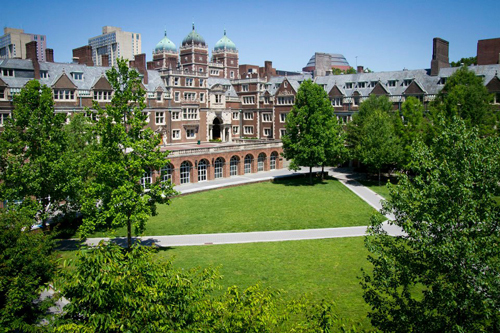 The Tepper School of Business and the H. John Heinz III School of Public Policy and Management offer this program jointly. 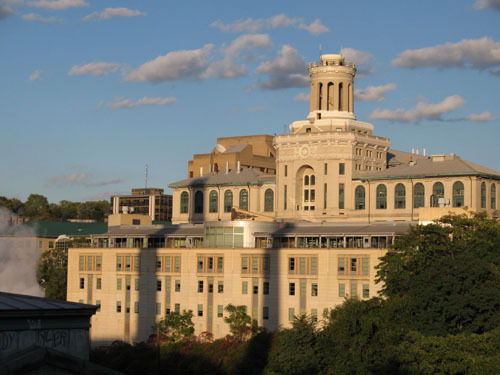 Students begin their studies at Tepper and must complete 162 units of courses, which includes 90 units of required core courses and 72 units of required electives. Students must also meet all MBA requirements such as Management Game, Core Elective Requirements, Concentrations and Breath. Students are required to take 180 units of course work at Heinz which includes 120 units of Heinz required courses and 60 units of electives which could be taken in the MBA program and count towards satisfaction of the MSHCPM requirement. 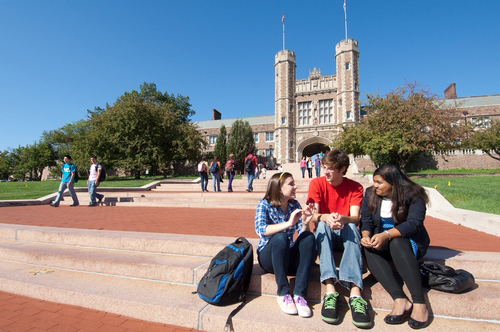 In the first year, students will pay tuition for two semesters to Tepper at the MBA full-time rate. In the second year, students will pay tuition for two semesters to Heinz at the full-time rate. For the final semester (5th) students will pay for one semester to Tepper at the MBA full-time rate. 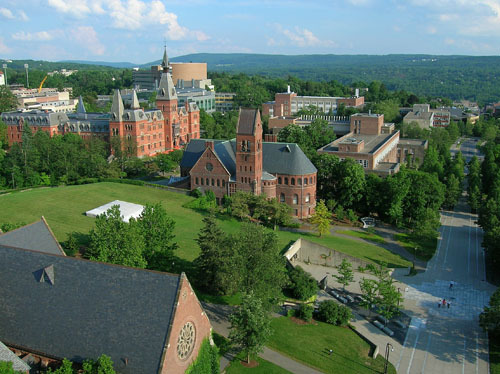 The combination of Cornell’s Sloan Master of Health Administration (MHA) degree and the Master of Business Administration from Johnson—complete in as little as two years—combines a strong foundation in general management with specialized skills and know-how in healthcare. Students gain the necessary knowledge, important skills, and applied experience so that dual-degree graduates have a clear edge over their competition and great flexibility in shaping an innovative and meaningful career. In addition to management positions in a wide range of healthcare organizations, graduates of this program also hold positions in the pharmaceutical industry, health insurance, management consulting, financial institutions, state and federal policy agencies, and several other fields. The Johnson MBA provides a solid foundation in all the functional areas of business—accounting, finance, economics, marketing, operations management, strategy, and leadership. The school offers students the ability to tailor their own curriculum and the chance to develop expertise in specialized areas that, when combined with healthcare, can provide unique and highly valuable strengths. Among these are entrepreneurship, consulting, finance, and sustainable global enterprise. Sample Courses include Business of Healthcare – Global Perspective, Health Law, and Quantitative Analysis for Health Systems. The Duke MBA Health Sector Management (HSM) program is the largest health industry program among top US business schools. 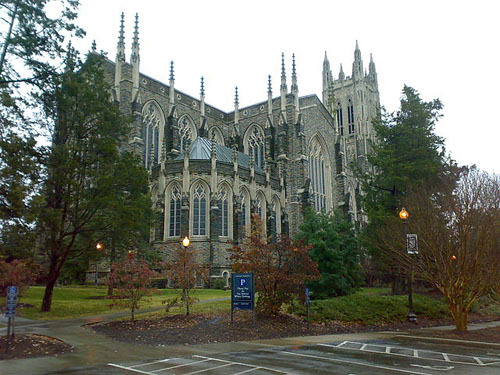 The program offers interdisciplinary studies that utilize Duke University’s longstanding leadership in business education, research, and clinical care. Students work closely alongside faculty and industry leaders to explore health care’s most pressing issues, among them service delivery models, financing alternatives, patient and provider relationships, and organizational processes. With their understanding of the industry, extensive skill sets, and professional network, HSM graduates become leaders of consequence within the global health sector. The Duke MBA—Daytime Health Sector Management: a full-time residency program that immerses students in healthcare issues. The Duke MBA—Cross Continent Health Sector Management: a program that combines online learning with residencies across the globe. The Duke MBA—Weekend Executive Health Sector Management: a program for professionals who seek a Duke MBA while continuing to work full time. The Duke MBA—Global Executive Health Sector Management: a program for experienced professionals that combines online learning with international residencies. The Executive MBA: Leadership in Healthcare program is a twenty-two-month MBA program created by healthcare professionals for working healthcare professionals who aspire to become leaders and innovators in the healthcare industry. 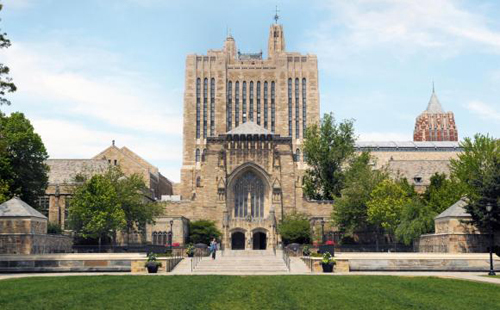 Students spend two periods “in residence” and every other weekend (Friday and Saturday) on the Yale School of Management campus. 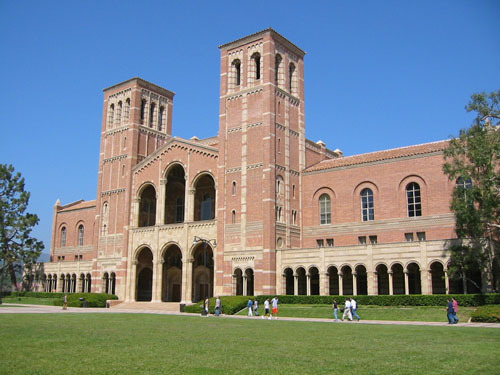 The program follows the same curriculum as the full-time MBA program at the School of Management. 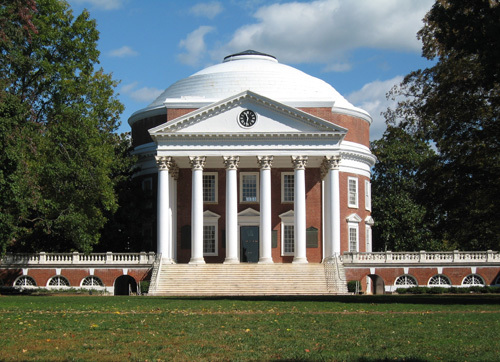 In the first year, students devote the majority of their time to the core MBA curriculum. Rounding out the curriculum in the second year, along with advanced management courses, are healthcare-specific courses to provide a complementary focus on healthcare management. The Colloquium in Healthcare Leadership, which brings prominent business leaders from across all areas of healthcare to present and meet with students. An Independent Study program to engage students in project-based opportunities. The optional International Experience, which exposes students to broader global issues of international business. The Master of Business Administration in Healthcare program prepares students to become leaders in pharmaceutical, medical device, biotechnology and health services sectors as well as in health-care related pursuits in consulting, banking, venture capital and entrepreneurship. In the first year of study, Darden teaches students core managerial concepts in operations, strategy, finance, leadership and ethics. In the second year, students are encouraged to explore their own interests, pursuing opportunities that enable them to apply their understanding of business to the changing landscape of the healthcare industry. 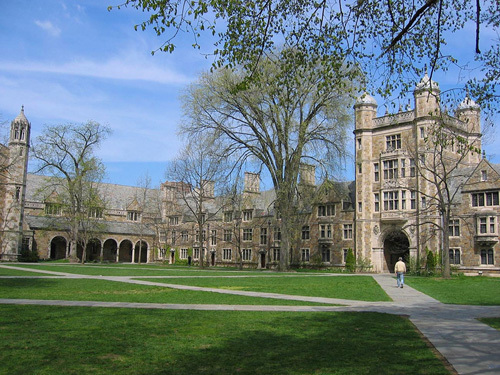 Students may also choose an optional MBA/MPH dual-degree program. Students earning their MBA and MPH degrees concurrently have the opportunity to work with faculty from the Darden Business School, Department of Public Health Sciences and School of Medicine to focus on the management of healthcare-related businesses and models for addressing health. Foci can include healthcare delivery systems, biotechnology, medical devices, translational research, health policy, and regulation. This affordable Healthcare Management MBA offers state residents an excellent option. The Stephen M. Ross School of Business created a unique concentration in Health Care Management for students looking to combine their interest in business with their interest in the healthcare field. The concentration allows students to complement the MBA curriculum with healthcare-related electives and activities outside the classroom. The combination of the curriculum, electives and experiential activities will help students become leaders in the healthcare industry. Students pursuing the Health Care Management concentration are required to take twelve credits of healthcare-related coursework, of which three must be taken in a department outside of Ross. Students will use their available elective credits to complete the concentration within the 57 credits required for the MBA degree. The MBA/MPA degree program at NYU’s Stern School of Business is designed to reflect the growing societal need for managers and executives with both practical business training and a thorough understanding of public sector management. This dual-degree program produces graduates who are ready to make an immediate impact on institutions needing strong leadership. The MBA/MPA program is a partnership between NYU Stern School of Business and the Wagner School of Public Service, and is designed for students with interests spanning business, public administration, public health and non-profit management. Students have the ability to complete both degrees over the course of three years, rather than the four years that it would take to complete the degree programs independently. 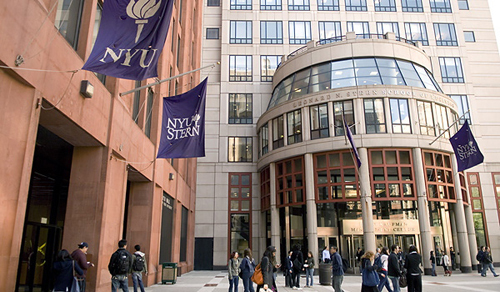 The first year of the dual degree program is spent at NYU Stern, and the second and third years are split between the two schools. The MBA in Health Management Program at the Haas School of Business prepares Berkeley MBA students to become leaders who will deliver both insightful and practical solutions in the healthcare field. 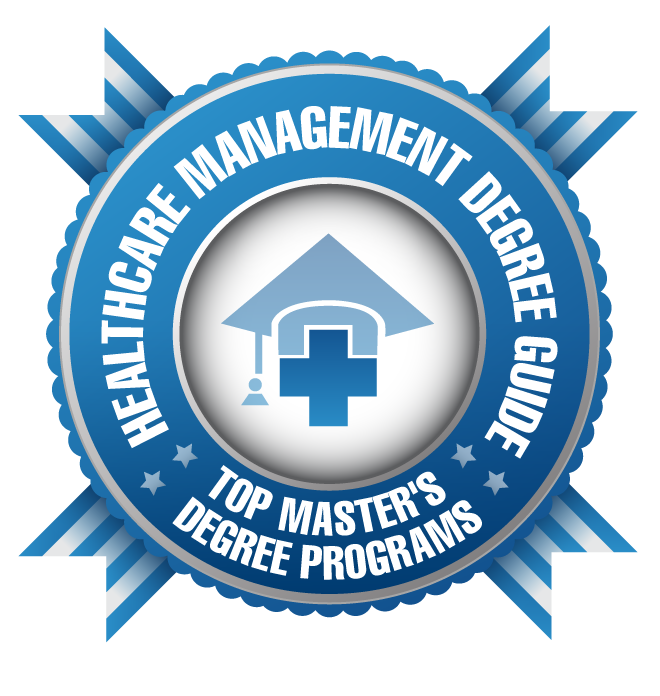 The accredited graduate healthcare management program balances California’s innovative managed care system, advances in the Internet, and biotechnology industries as laboratories for education and research. Leading UC Berkeley academic researchers from the business and public health schools, as well as prominent industry practitioners, teach in the program. 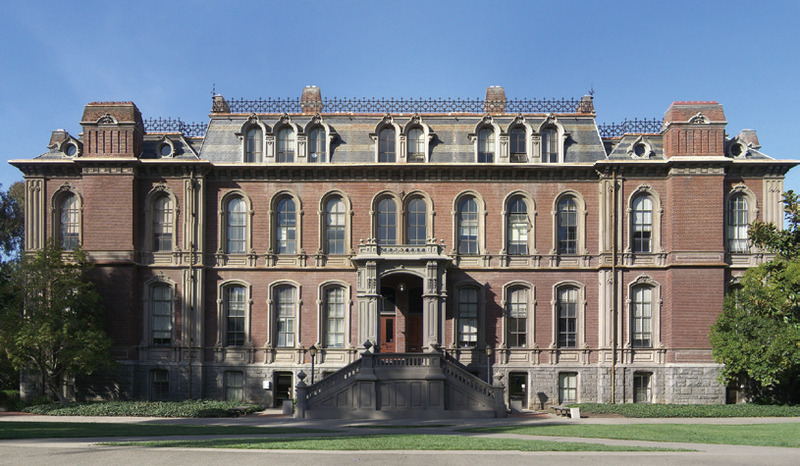 There are a number of courses in health management offered at the Haas School of Business, as well as at the School of Public Health, including Healthcare in the 21st Century, Development of Biopharmaceuticals, Health Finance, and many others. Beyond regular coursework, speakers are frequently invited to talk to students. 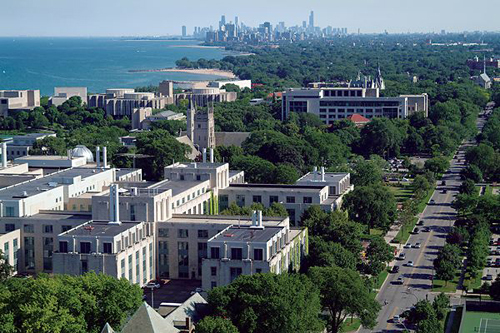 The Kellogg School of Management’s Health Enterprise Management (HEMA) major meets the needs of any management student who plans to work in either the services or products side of the health industry. Leading scholars in a wide range of academic fields teach much of the HEMA curriculum. Practitioners who have reached the very top of their profession in the healthcare industry teach additional HEMA classes. All of the course offerings emphasize the importance of translating fundamental management principles into state-of-the-art tools for practitioners. Graduates with this specialization are prepared to compete successfully for jobs in provider, insurer and supplier organizations, as well as in consulting, investment banking and other related sectors of the economy. The HEMA major combines flexibility with depth. The cornerstone of the HEMA major is the introductory core course, which presents a body of common knowledge necessary to anyone managing in the health sector. Students must take three additional courses from a varied list, many of which emphasize specific themes common to many services and product areas of healthcare. There are no prerequisites for the major and students with no prior experience in the health sector are invited to take graduate Healthcare Management degree program courses. The Massachusetts Institute of Technology (MIT) Sloan Business School MBA program has recognized the growing need for individuals to fill roles as healthcare managers and administrators by creating the MBA/Healthcare Certificate program. The national and international healthcare industry and health management-related changes and evolution have created a unique opportunity for MIT Sloan students and faculty to make an important impact on the world through innovative research and educational activities. Both students and faculty who are interested in healthcare and health management become part of this growing and interesting community. Opportunities are becoming prolific for MIT Sloan graduates in various career paths within the healthcare ecosystem and related industries. The Healthcare Certificate’s curriculum and requirements prepare students for career paths such as the pharmaceutical and biomedical industries, healthcare consulting, management positions within healthcare delivery systems, healthcare innovation and entrepreneurship, and global healthcare delivery. Provide students with a structured and hands-on educational experience that is sufficiently flexible to promote their needs and desires with respect to the range of related career paths. Create a network of students, faculty and industry partners that will facilitate action-based educational, research and knowledge creation activities, as well as professional employment and hiring opportunities. 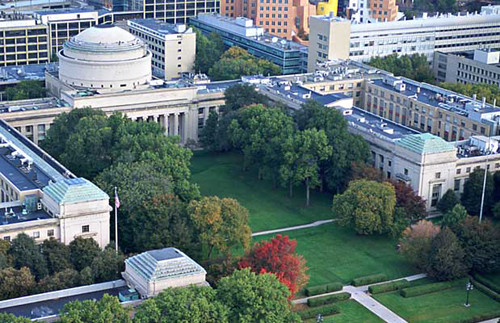 Leverage the unique MIT culture of integration between management, engineering and the sciences. A graduate Healthcare Management degree prepares interested students for careers in the pharmaceutical sector, biotech health services, government agencies, insurance organizations, health maintenance organizations (HMOs), and consulting firms that specialize in the healthcare sector. Graduates of this specialized MBA program are very well prepared to fill executive roles in the various organizations and specialties that make up this important industry of healthcare. The healthcare industry is one that is constantly changing due to innovations in science and technology, economic factors, human demand, and governmental and social policy. Graduates have gone on to careers in pharmaceutical and medical product companies, financial services, hospitals and other medical institutions, entrepreneurial ventures, consulting firms, foundations, industry, and government — many of them holding positions as chief executive officers, directors, and other key decision makers. 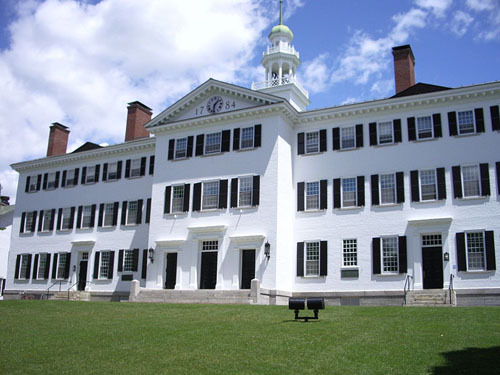 The Master of Business Administration with the Health Care Initiative offered by the Harvard Business School (HBS) connects the business community, including MBA students, alumni, faculty, staff, and Executive Education participants, to ideas, resources, and opportunities for collaboration that have created new initiatives for health care practice. The Healthcare Initiative program was created in 2005 to serve as a pathway for healthcare research, educational programs, and entrepreneurial projects across all sectors of the health care industry, from life sciences and medical devices to care delivery and public health policy. 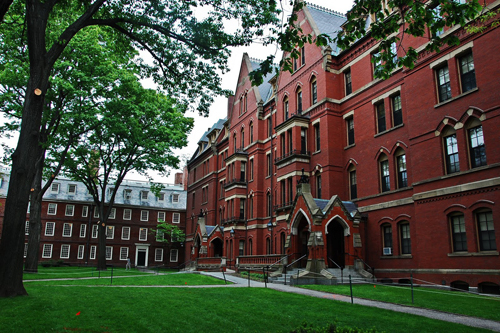 Through this powerful connection between students and faculty across Harvard University and beyond, HBS promotes leadership that makes an immediate and permanent impact on healthcare practices to improve outcomes, reduce costs, expand access and enhance services. With changes in healthcare policy, a boom in the American healthcare industry, and the retirement of the “Baby Boom Generation,” more and more skilled Healthcare Managers will be needed to fill these new positions. An MBA with a Concentration in Healthcare Management means that a graduate has gained the skills to understand the business of running a healthcare facility. The curriculum typically covers such traditional MBA topics as Accounting, Economics, Finance, General Management, Human and Organizational Performance, Marketing, Operations and Business Strategy. Students earning a concentration in Healthcare Management or Administration are also exposed to coursework such as Medical Ethics, Healthcare Industry Management and many others. This combined curriculum prepares students for the diverse and challenging healthcare industry. By earning a Master of Business Administration with a Specialization in Healthcare Management, students have the tools necessary to be successful Health Managers and Executives. A graduate Healthcare Management degree opens many doors for an exciting and rewarding career.